At Bykerk Snow Plowing, we offer residential and commercial snow removal, shoveling, snow plowing, loading and de-icing services. Snow removal in Grand Rapids, MI is a must for businesses and most homes. 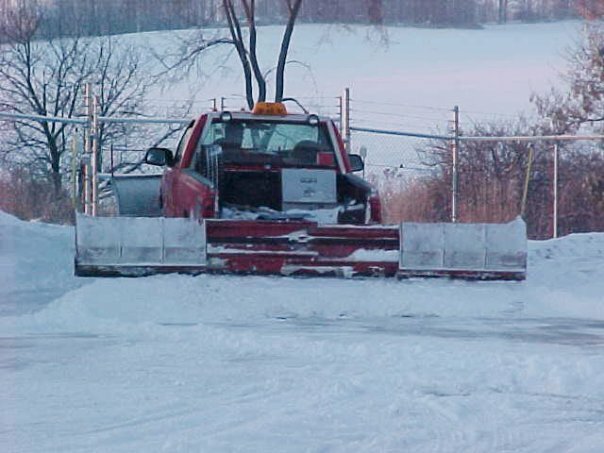 Commercial snow plowing for a business maintains a safe and nonhazardous outdoor environment. Snow removal for homes is a must and is very time consuming, especially in Grand Rapids, MI. Normally, snow removal is preformed on a seasonal basis with accumulations of 1.5 inches of snow and it takes place between 12am and 7am. We will plow during the day and more than once in 24 hours should conditions warrant. On occasion we do some per time work. Snow loading is seldom required, but when performed is done per hour. We perform de-icing as required or requested on an extra charge basis depending on the amount and type of de-icer used. Snow removal in Grand Rapids and the surrounding areas is vital during the winter months. The average annual amount of snowfall in Grand Rapids, MI is 71.6 inches! Bykerk snow plowing is reliable and experienced. We are centrally located in Caledonia and maintain our snow removal and snow plowing services in Grand Rapids and the surrounding areas including: Ada, Alto, Alaska, Byron Center, Caledonia, Cascade, Cutlerville, Dutton, East Grand Rapids, Forest Hills, Gaines, Grandville, Kentwood, Middleville & Wyoming. Home snow removal is a must and is very time consuming, especially in Grand Rapids, MI. Our home snow removal service is performed on a seasonal basis with accumulations of 1.5 inches of snow and it takes place between 12am and 7am. We will plow during the day and more than once in 24 hours should conditions warrant. On occasion we do some per time work. Snow is seldom required, but when performed is done per hour. Maintain a safe and hazard free outdoor environment for your customers and employees with commercial snow plowing services. De-icing is performed as required or requested on an extra charge basis depending on the amount and type of de-icer used. We provide excellent snow plowing and salting services to businesses and homes throughout the Grand Rapids area. Please call us for a free estimate at (616) 698-7263.